As I’m typing this, it’s Friday morning and I’m on the train to work desperately wanting to get one of many blog post ideas written out – it’s called having a work/life balance apparently. 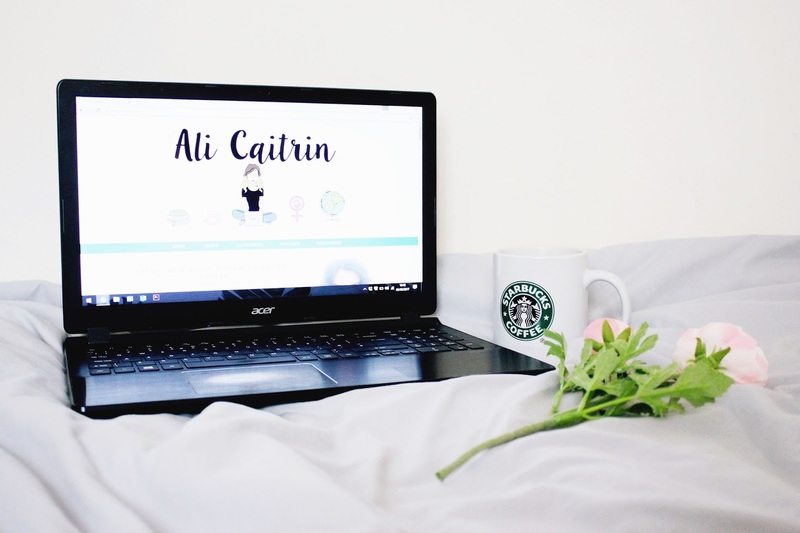 Ali Caitrin has had to take a step back lately while I’ve been getting to grips with big but positive changes in my personal life. Yet the blogosphere still keeps on rolling and great content is being created all the time. Having this realisation (or what I like to call a light bulb moment) made me want to share five the posts that I’ve gained some important lessons from reading recently. After all, sharing is caring right? I originally discovered Grace Victory through her YouTube channel over a year ago and have been pretty much obsessed ever since! In one of her most recent blog posts, she talks in-depth about representation of women in colour in the media as well as online and how we as a community can help to improve this. It was quite an eye-opener for me as it made me realise we still have a long way to go when it comes to becoming more inclusive, even with what we’ve achieved so far. Although she shouldn’t have to, I’m grateful that we have people like Grace to help educate us. Take note people! As well as a lifestyle and beauty blogger, Shona regularly shares her experience living with Marfan syndrome and advocates for disability rights. When I first found out a few months back that a bus had refused to stop for her due to a buggy being in the wheelchair space I felt so shocked that this was allowed to happen, let alone it happened twice! I never realised till then what wheelchair users have to fight for just for basic human rights – it’s appalling! I’m proud of Shona for speaking up and the fact she even managed to organise a meeting with the bus company to help improve their service for wheelchair users is just the icing on the cake. Her blog may be called Almost Amazing Grace but don’t let that understated name mislead you. Grace is one of my favourite book bloggers who I don’t shout enough about to be honest so see this as me making up for it. I urge you all to read her post on body hair: it’s funny, relatable and most importantly it’s a topic that’s not questioned enough. What’s wrong with a little leg hair anyway? Books and feminism is a combination I am always on the lookout for. So much so that once I had found Lauren‘s review on The Descent of Man by Grason Perry I ended buying the book a few days after! We often forget that men deal with gender expectations and the stereotypes are still portrayed in the media as well as women. This book challenges that and I’m looking forward to reading what Grason has to say about it from a perspective of a man himself. Remember, if we are wanting to achieve equality for all then no one should be left behind! I will admit that Steph‘s blog is a new additional to my reading list and it was her latest post that makes me wish I found her sooner! As a plus size woman myself, I have experienced fatphobic comments in the past yet I never thought skin would come into it. Reading Steph’s honestly broke my heart because black fat women DO matter and it’s about time that we all started acting like it by being better allies! And that’s a wrap! Have you read any inspirational pieces lately? Thank you for sharing these posts! The world definitely needs to hear more stories like these!